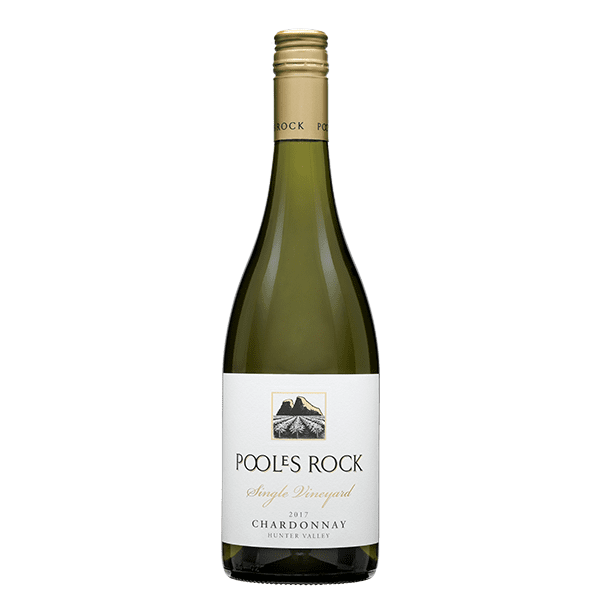 Sourced from our Cockfighter’s Ghost Vineyard in Broke, the new release of Poole’s Rock Single Vineyard Chardonnay is selected from our finest barrel of Chardonnay, matured in a single, new French oak puncheon for 8 months limiting the production to 660 bottles. This wine has a powerful, full bodied palate and displays hints of stone fruit and citrus. Use of traditional barrel fermentation with lees stirring have contributed to additional complex, textural and flinty notes. The 2017 vintage will be regarded as a great Hunter Valley vintage, with ideal warm growing conditions leading up to vintage. After some spring and early summer rains, the vines were healthy and had plenty of foliage. Very dry and hot summer conditions with temperatures over 40 degrees meant the tannin and flavour profile of the fruit was allowed to fully mature. The 2017 white wines will be full of flavour and highly sought after. Enjoy now or cellar for 5+ years. Pale yellow, with green hues. Intense aromas of stone fruit and citrus.